Comment: We live in a 2 units building from the 50s with hard wood floor and I can hear my downstairs neighbors snoring or talking and they can hear our baby crying and we are both ready to reduce the noise in both rooms or the entire unit depending on the estimate. Comment: I actually need to soundproof a ground floor living area which was previously a basement / garage. So, the issue is noise coming to the ground floor from the main 1st floor kitchen / dining area as well as the stairs leading up to the 1st floor. Comment: Downstairs neighbor complains about hearing conversations from my unit to his unit below, Looking for a way to reduce that without making many changes. 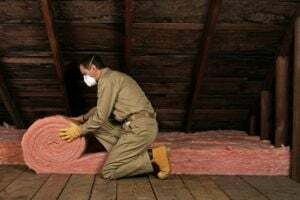 San Francisco Insulation Contractors are rated 4.72 out of 5 based on 141 reviews of 8 pros. Not Looking for Insulation Contractors in San Francisco, CA?